Utrecht Manifest's Artistic Director Jurgen Bey asked various curators to work with the theme "A Working Landscape" in the Utrecht community called the Rotsoord, a once historically vibrant industrial area now competing with condominums. Curator Sophie Krier asked Hathaway Designs to work with her list of local expertise and with the local gas station. Six events at the Rotsoord Tamoil Gas Station and Car Wash were designed and experienced by the public and clients of the gas station. Through the "cross-breeding" of various local businesses with a gas station and car culture resulted in new viable community business models. In addition, Hathaway Designs with designer Tony Michiels created a new line of products for the gas station from this new hybridization of businesses. Learn about Your Car, and Give Students Real Time Experience: ROC Automotive car sales students Bill and Glenn debate various attributes of your car as you go through the car wash. A ribbon is given to the best debater by the driver, and a Best Debater Diploma 2012 is awarded to the one with the most ribbons at the end of the day. Ribbons made by local fashion designer Melissa Petersen - Bonvie. Have your car washed and polished by an expert elderly home cleaner Paul Serto and your interior placed to perfection by professional organiser Ardy Kuipers. 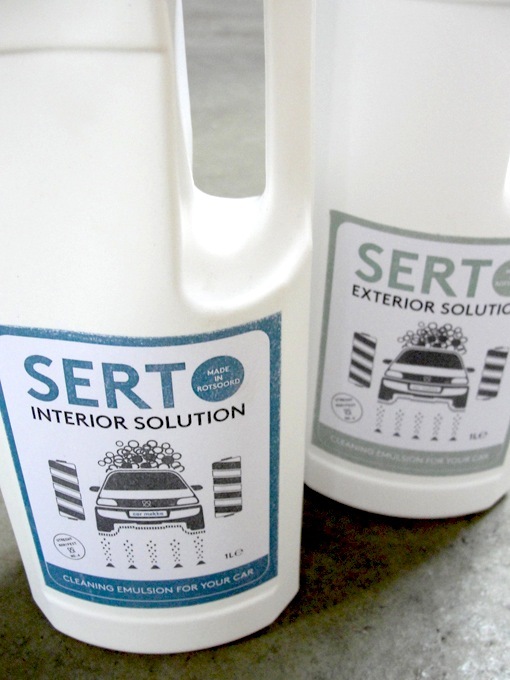 Your car is cleaned by "Serto Solutions" an organic secret recipe cleaner made by Paul Serto, and due to its success will be soon be in stores near you. 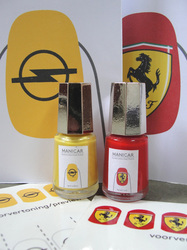 Have your manicure or "Manicar" while you wait for your car to be washed. Your car is a thing of beauty so why aren't you too? We are our cars after all. The Manicar allows you to select a polish and a car logo stencil for your nails, to be applied by manicurist Esmeralda Klinkenberg. Men don't be shy, its for you too! Keep well the road, and drive with St Christopher over your shoulder. With Pastors Harmsen and Martens of the Johannes de Doper-H.Bernardus Church, your car or any other way of getting around, will be blessed by holy water and a special prayer at the Tamoil gas station. All are welcome! 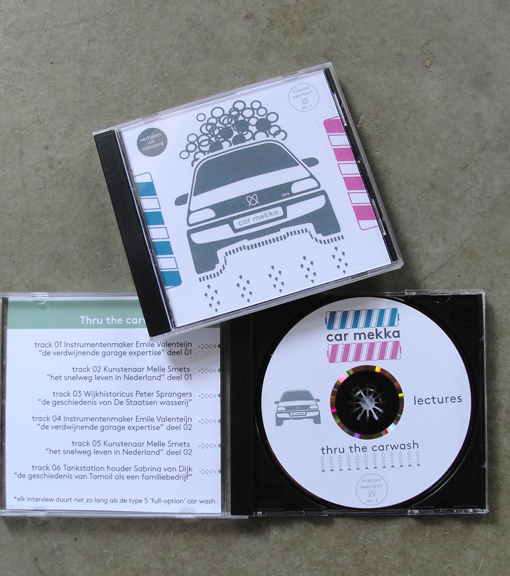 For your listening enjoyment, a CD is available when you buy a 8 minute carwash. 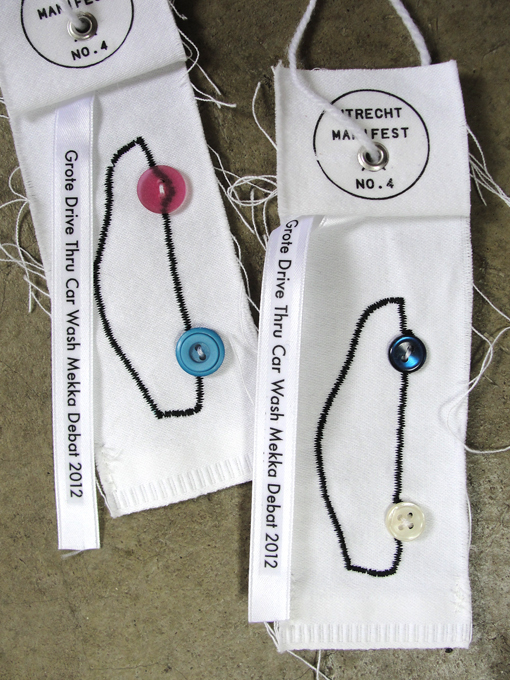 As you sit in the wash, learn about the local area from historian Peter Sprangers, car tips from Sabrina van Dijk (owner of the Tamoil Carwash) and NL highway history from Melle Smets (artist and co-author of Snelweg Verhalen). Each segment runs 8 minutes. On the opening day have your CD signed by Emile Valenteijn, who is a local expert on car repair and maintentance, and a WW2 Jeep collector and restorer. Pimp your car at the car wash terrain instantly! Any car is pimped with a special light application by light artists Jan Willem Campmans and Bram Boomgaardt. 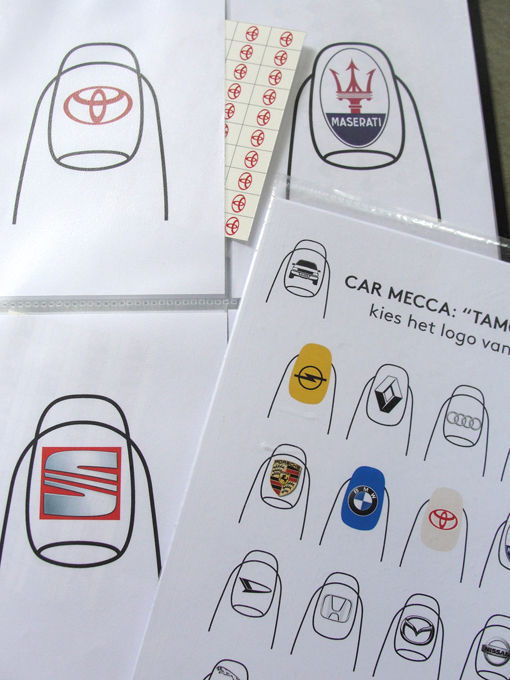 In a matter of minutes, you and your car are customized to your wildest desires. Official portrait of you and your car is given to each customer as a souvenir. Watch a specially produced film on cars and car love compiled from YouTube by film maker Jokko Voogt. 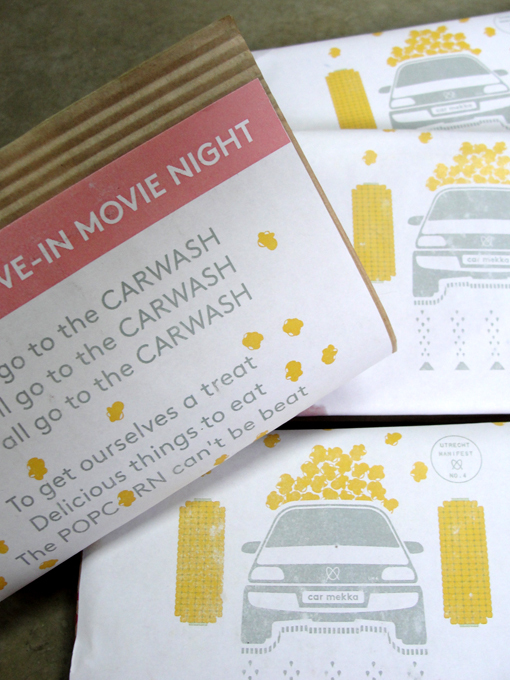 Popcorn is popped on your car engine, and roller derby girls The Dom City Rollers serve it to you on rolling style to your window. 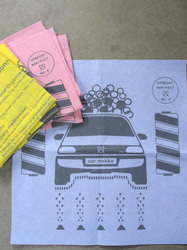 Carwash Mekka | Great Drive Thru Debate from werklandschap KRUIST ICI on Vimeo. Carwash Mekka | Cleaning & Organizing Day from werklandschap KRUIST ICI on Vimeo. 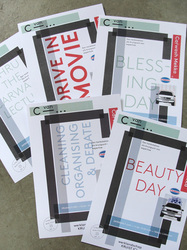 Carwash Mekka | Beauty Day from werklandschap KRUIST ICI on Vimeo. 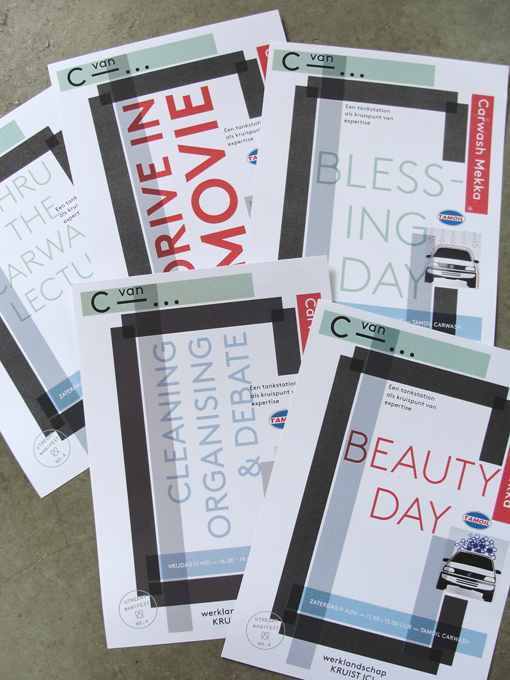 Carwash Mekka | Blessing Day 'On Your Way' from werklandschap KRUIST ICI on Vimeo. Carwash Mekka | Thru the Carwash Lecture from werklandschap KRUIST ICI on Vimeo. Carwash Mekka | Pimp My Car And Me from werklandschap KRUIST ICI on Vimeo. Carwash Mekka | Drive In Movie from werklandschap KRUIST ICI on Vimeo.